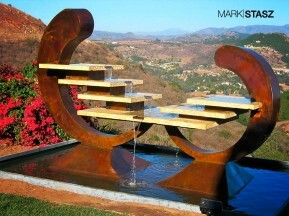 California Fountain Commission: This fountain is fabricated out of steel and stainless steel. 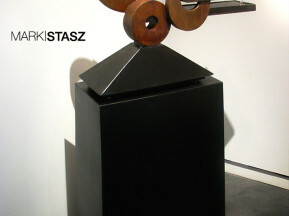 The interior of the piece is created of welded stainless steel to add to the longevity, the water is pumped up from it own self contained basin to a trough where the water runs down a stainless steel washboard, this effect is very visual and it is repeated on both sides top and bottom of the fountain. 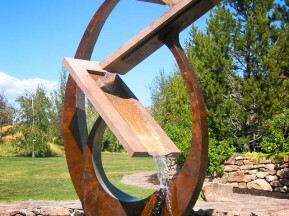 The center of the fountain is separated by two counterlevered steel rectangles to offset the form. Measuring 72 inches tall, 30 inches wide and 18 inches deep. 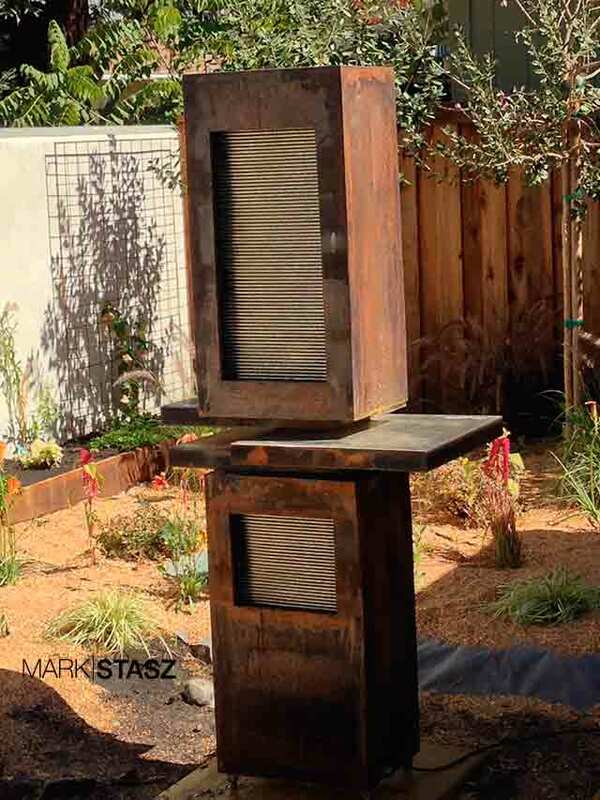 This fountain is suitable for a patio or any interior space.